Black, Jeremy. 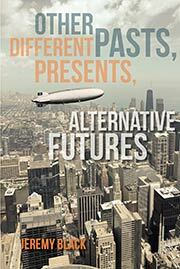 Other Pasts, Different Presents, Alternative Futures . Indiana University 2015. Summary: Academic text on the use of counterfactuals in understanding history, offering numerous examples, most notably the rise of Britain as world power. Published: Indiana University 2015 (0253016975BUY, 0253017041BUY).